First held in 1904, the Little Pictures Show & Sale is the oldest and largest exhibition of its kind in the United States. This year, the beloved tradition turns 114 and continues to be a strong source of pride for the historic Providence Art Club. 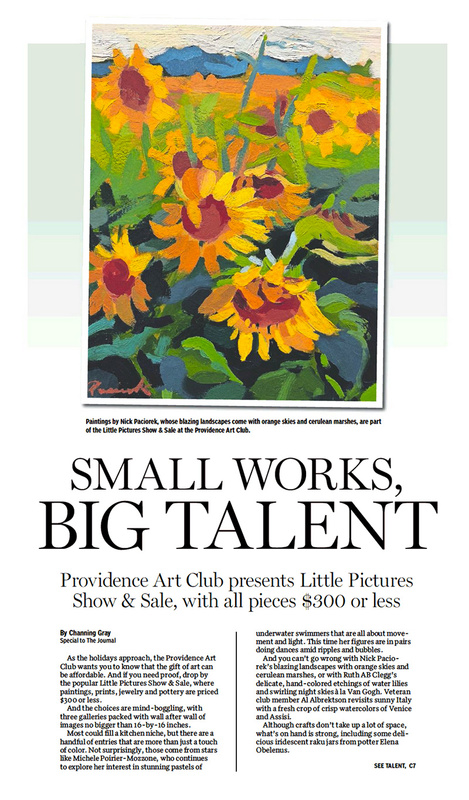 The show will feature over 600 works of art sized at 16” x 16” or less and priced at no more than $300. Works on view will include paintings, drawings, photographs, collages, hand-pulled prints, hand made artist books, along with sculpture, ceramics, glass, and jewelry. With such a breadth and diversity of styles and media present, there is truly something for everyone. Sales are “cash and carry”; meaning purchased works may be taken home immediately. New works then replace works that have been sold. This results in a constantly changing exhibition of local, affordable artwork; perfect for gift-giving this holiday season! This show is the perfect opportunity for art lovers to purchase works for their own collection, or find a unique gift for friends and loved ones. 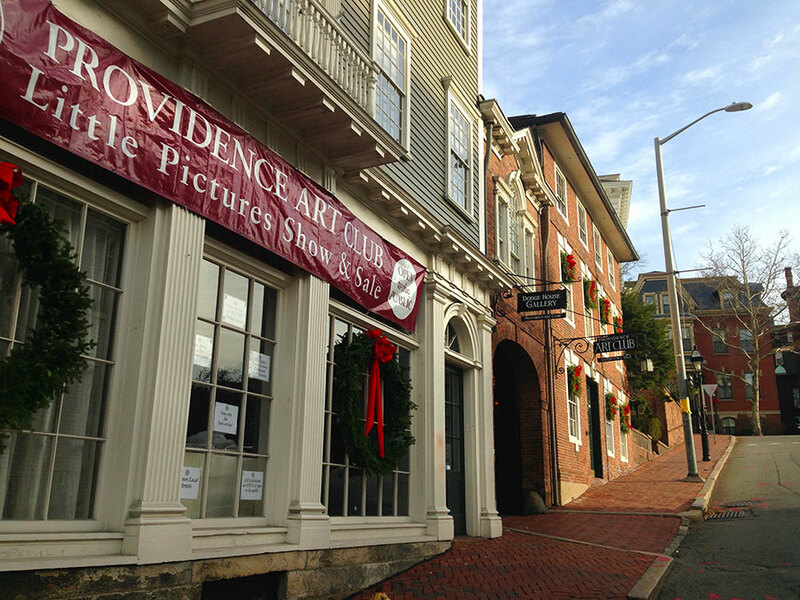 It is also a great way to explore the Providence Art Club and learn more about the artists who make up the membership of one of the oldest arts organizations in the nation.